Dr Ali qualified from University College London. She undertook her specialist training in Respiratory Medicine in London, and trained in Allergy at the Royal Brompton Hospital. She was awarded a PhD from the National Heart; Lung Institute, Imperial College London for her research into allergic asthma. Dr Ali was appointed Consultant Physician in Respiratory Medicine &amp; Allergy at Barts Health, the UK’s largest NHS Trust, in 2004. She is Clinical Lead for both Adult Allergy, and Severe Asthma. These services are nationally recognised with the Severe Asthma service being one of only 10 in England. Dr Ali is a Fellow of the Royal College of Physicians. Dr Ali set up King Edward VII’s Hospital first-ever dedicated Allergy clinic in 2009. She provides in-house skin prick testing and uses her knowledge of cutting edge technology to provide up to date biologic treatments targeting the immune system. She runs regular drug and food allergy provocation challenge testing sessions on the day case unit for complex cases. 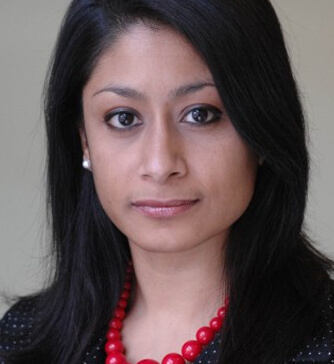 Outside of her direct clinical work, Dr Ali sits on the Allergy UK Health Advisory Board. She has been a member of the Executive Council of the British Society for Allergy & Clinical Immunology and the Joint Committee for Immunology & Allergy at the Royal College of Physicians. Dr Ali is an active participant in asthma and allergy research and in teaching. She is a regular speaker, and has presented at the Allergy Show.